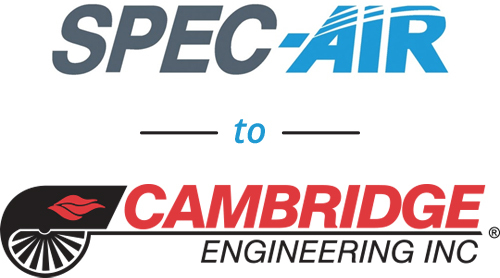 As of May 23rd, 2018, the SPEC-AIR brand and associated product lines have been purchased by Cambridge Engineering of St. Louis, MO. To learn more, go to: www.cambridge-eng.com/products/e-series-evaporative-cooling. Copyright ©2018 Cambridge Engineering. All rights reserved.